Moscow has started to implement a large-scale renovation program for the so-called “Khrushchyovkas,” the construction of which began back in the USSR in the 1950s. But these residential buildings weren’t only constructed in the USSR. They were built in other socialist countries as well. This format was especially popular in the German Democratic Republic. Back then, panel buildings that housed over 270,000 apartments like this were erected in East Berlin. After the fall of the Berlin wall, a lot former allies of the USSR launched state programs to renovate a modernize the socialist panel heritage. Before house-building plants that produced concrete panels for the construction of standard residential buildings appeared in the USSR, people in Soviet cities didn’t have many options to obtain housing. People were often huddled together in terrible barracks, and those who were lucky moved into fairly comfortable Stalin buildings (though, for the most part, apartments in these buildings were turned into communal housing). Only a handful of people who worked in creative professions, the sciences, or as politicians and administrators had their own housing. Everything changed at the end of the 60s, when the mass construction of five-story panel residential buildings began. They were assembled in record time out of concrete panels or blocks that resembled Legos. The living conditions in these buildings met the absolute bare minimum standards. The first series of Khrushchyovkas didn’t even have garbage disposals. The kitchens were no higher than 5-6 meters, bathrooms often featured short bathtubs that you could only sit in, and the rooms were small as well. In later years, new series of panel homes with elevators and garbage chutes were developed. They had separate bathrooms and larger kitchens. But the first Khrushchyovkas were truly remarkable in terms of their their asceticism. Still, these were separate apartments – the cherished dream for millions of people in the USSR. Between 1957 and 1985, over 5.8 million apartments were built in homes of this type. When the Soviet government understood all the advantages of building simple and cheap homes that were easy to erect, the political decision to take this positive experience to other socialist countries was made. East Germany, which fell within the USSR’s sphere of influence and wanted new buildings after WWII, was the first area that needed assistance. 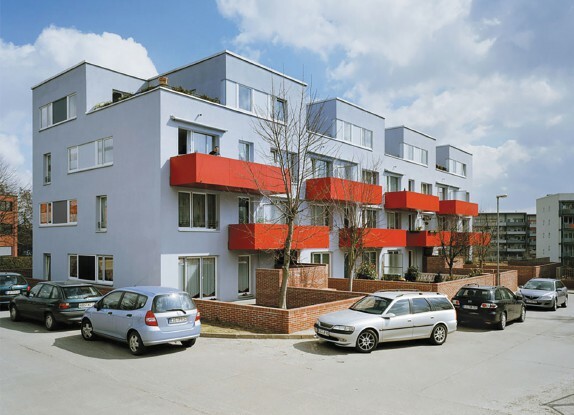 House-building plants that specialized in panel and block housing were quickly constructed in the GDR. Soon after, the construction of German Khrushchyovkas began. In Berlin alone, several districts of block and panel residential houses were built in record time. For the most part, Khrushchyovkas were erected in Marzan, Hellersdorf, and Hohenschönhausen. The scope of these construction projects was much more limited than the construction of similar buildings in new districts in Moscow. 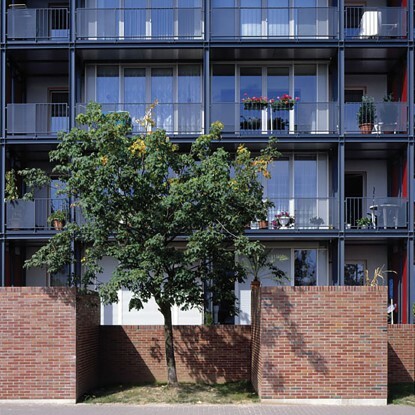 270,000 apartments were constructed, which housed over half a million East Berlin residents. 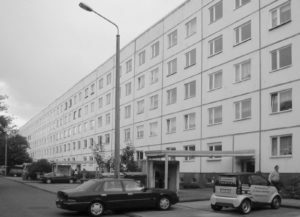 Districts with panel homes appeared in other GDR cities as well. It’s important to point out that special series of Khrushchyovkas weren’t developed for the Germans. These buildings were exactly the same as the ones erected in the Soviet Union. 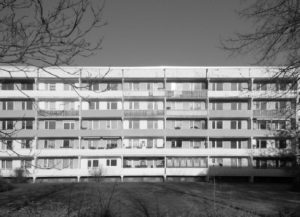 The gradual evolution of German Khrushchyovkas, which made them more comfortable to live in, took place at the same time that improvements to the layouts and amenities of these buildings were made in the USSR. The most interesting thing is that, 50 years after the USSR helped Germany resolve their housing problem in the second half of the 20th century, Germans helped Russia make Khrushchyovkas more appealing for modern city residents. 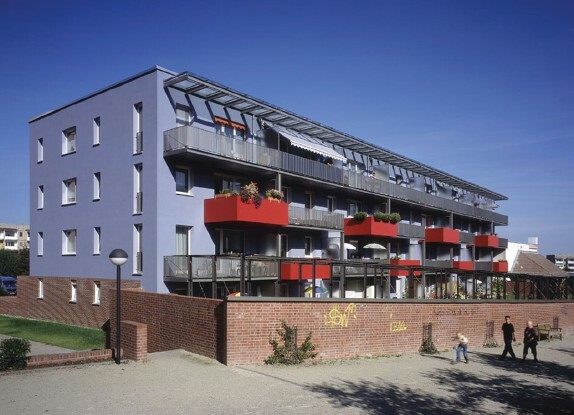 In 1990, Germany launched a state renovation program to make improvements to panel residential housing. Within the scope of this program, the Khrushchyovkas were renovated and modernized. 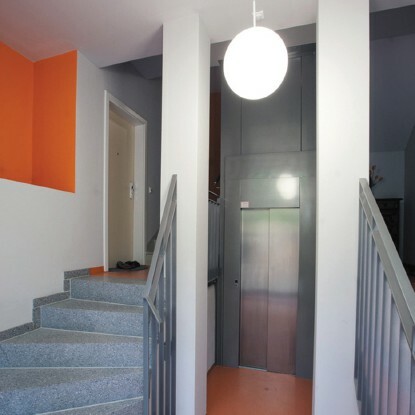 Wherever possible, elevators were installed and the buildings were lined with modern panels of different colors. The buildings were radically transformed. This experience was helpful for Moscow in the 2000s and 2010s, when the city started to modernize nine-story block and panel housing. It’s worth noting that during the renovations of German Khrushchyovkas that were built in the 20th century, the German government renovated the five-story buildings along with the nine-story Khrushchyovkas. In Germany, demand for the reconstructed five-story buildings turned out to be particularly high. This is because Germans took a practical approach to the reconstruction project, and famous architecture firms were involved in the renovations. In the city of Halle, the architectural company Stefan Forster Architekten conducted the renovation project for five-story panel buildings. In 2010, the firm received an award at the International Architecture Exhibition for the best city improvement project in Saxony-Anhalt. The concept proposed by the firm was called “tightrope walking,” because it brought together the historical city centers and the districts with buildings that were erected in the 1960s and 1970s. The monotonous panel homes transformed in front of people’s eyes. For example, homes that had eleven entrances were split up into two buildings with five entrances each. In some cases, several floors were removed. The layouts inside the buildings changed as well. The architecture firm constructed 18 different apartment types, including ones with private gardens on the bottom floors. Some five-story buildings were rebuilt as three-story houses, transforming them into cozy villas. One of the main complaints about the panel buildings was the ground floor. The residents there were particularly uncomfortable because there wasn’t a barrier between their homes and the street – a problem that was resolved in an elegant fashion in Germany. Stone barriers were erected in front of the ground floors to serve as buffer zones between building residents and pedestrians. The residents typically used them to house beautiful flower beds.